When I reflect on my years in Corporate America, I realize that my own personal brand could have been better established. Don’t get me wrong, I had a reputation for effectiveness and have the top performer trophies to prove it (they make great doorstops!). But at the same time, I could have done more to ensure that “me as a person” and not just my work was making an impression. The same is important for any small business. Your company might be great at what it does, but to maximize opportunities your brand itself has to be memorable. Here are five ways to foster that memorability based on what I learned in Corporate America. 1. Be Effective: It goes without saying that you want to be known for doing something well. But I state the obvious because effectiveness is the foundation of a memorable brand. Without this characteristic, the others I’m about to mention won’t matter. As a senior manager in banking, I like to think I was highly effective. I always exceeded my goals, quickly churned out quality work, and took pride in receiving top marks on my annual reviews. This conjured up great impressions when my name was mentioned and allowed me to trust in my reputation without having to worry about damage control. As a small business, you want to have substance behind your brand so your time can be spent building it, not defending it. 2. 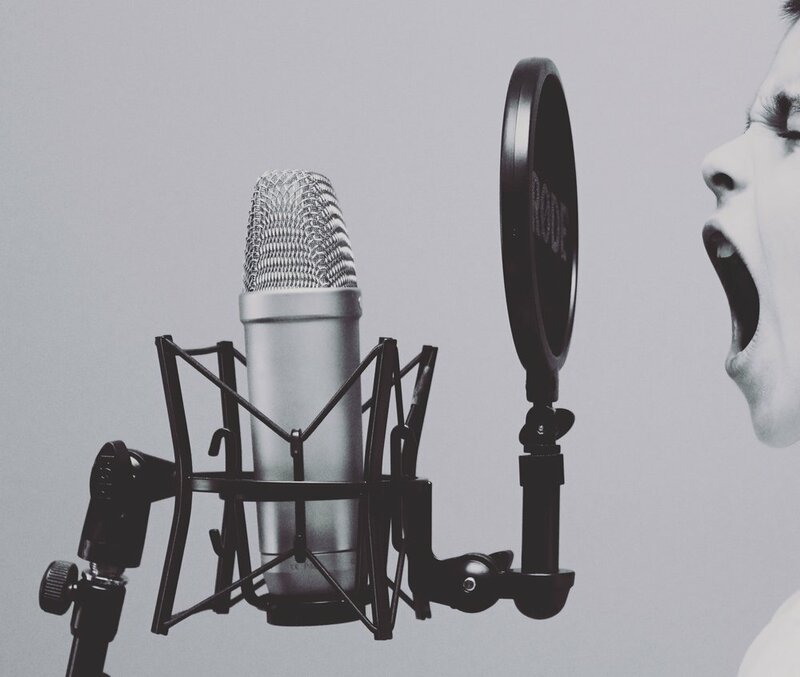 Be Vocal: Although my name may have been associated with a high degree of effectiveness in the banking world, it didn’t always come to mind automatically. That’s because in professional settings, I generally waited and observed before I spoke up, and I allowed others to define the dynamics of our working relationships. Rather than seize every opportunity to market my skills, promote my past work, or check in to maintain relationships, I kept my nose to the grindstone and preferred to let my work speak for itself. 3. Be Real: I recently met with a client about providing content for social media, and we shared a laugh about seeing the same canned corporate photo-ops on multiple people’s LinkedIn news feeds. I’m sure you’ve seen them too, with captions like “Great showing at our corporate event”, and “Proud to work with this team”. Now I’m not knocking those who are just SO excited to tell the world about their jobs that their mundane posts don’t seem mundane to them (or their 9 other coworkers who shared the same thing). At least they’re posting something, whereas I’m still working on embracing the process. But when I see these types of posts I gotta be honest that I scroll on by! They may provide a second or two of visibility, but not memorability. By contrast, I read and remember people’s genuine thoughts, feelings, ideas, and personalities. It’s nice to hear a human’s voice behind a post, and it makes the message more compelling. As a manager in banking, I found I was most effective with my team when I shared my own lessons, opinions, and experiences. That’s what I’m striving to bring to Cognition and what I think differentiates a great brand. 4. Be Responsive: I’m not just talking about responding quickly to customer communications here. True, that helps ensure you’re remembered as a brand with exceptional customer service (plus, it’s just a nice thing to do!). But in addition, responsiveness to current events and emerging trends can help you stay relevant. It not only allows you to tailor your offerings accordingly, but it can provide an opportunity for your brand to be human, engaging and, if appropriate, emotive. Back when I was rocking the financial industry, a major hurricane struck that impacted a huge number of lives. The news was flooded (no pun intended!) with stories about volunteer efforts, food drives, and text message donation campaigns. But a few days later, our company proceeded with a plan to raise money in support of… heart disease. Needless to say, it came across as extremely tone-deaf. They missed a great opportunity to show how the brand cares about the same things as others and reinforce their commitment to the community. 5. Be Valuable: Any company’s goal is to add value through its goods and services, but that’s different from the brand itself offering value. This can be done by providing education, information, and content that people will… there’s no other way to say it - value. While this helps others become more skilled, informed, or entertained, it also establishes your brand as trustworthy and engaging, and best of all, as a subject matter expert. Think of it on an individual level in the workplace. As a manager, I reflexively sought to tap the employee who’d already shown me they know their stuff. Businesses can show this by publishing articles, how-to guides, or commentary (and shameless plug – Cognition can write these for you!). Making them available then provides you with a reason to reach out to customers, and more importantly, provides customers a reason to stay in touch with you. And who doesn’t want to impress people with what they know or say, am I right? Whether personal or professional in a business large or small, the importance of brand memorability cannot be overstated. I’m living the brand-building process right now and can testify to its time-intensiveness. But that’s also what Cognition is here to help other small businesses with. So what can we write for you to make your brand more memorable? Older PostOutside the Ol' Comfort Zone...Again!